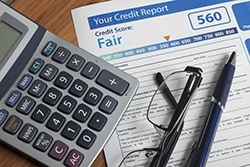 In a forward thinking blog on the Social Finance (SoFi) website written by Dan Macklin, the use of credit scores in a mortgage transaction may be an inaccurate determination of a prospective borrower’s creditworthiness. A growing number of lenders believe FICO scores do not paint an accurate picture of a borrower’s ability to repay. FICO scores are a measure of your credit health, looking at things like the length of your credit history, the amount of credit you carry, and if you pay your bills on time. The higher the three-digit number assigned to you, the less risky you are to lenders. According to the blog, credit scores may be counterintuitive for some, taking out credit they do not need just to improve their score. Plus, the credit score cannot look at things like savings and your ability to pay household bills. Because of all this, SoFi has chosen to forego the use of credit scores when determining a borrower’s creditworthiness. They are going to concentrate more on the borrower’s complete financial picture, which is good news to millennials who tend to shy away from using credit cards. Just think, in this new lending world sans FICO, borrowers could finally benefit from being responsible with their money. This could open up homeownership to a whole new demographic, increasing homeownership rates and further assisting in the housing recovery.